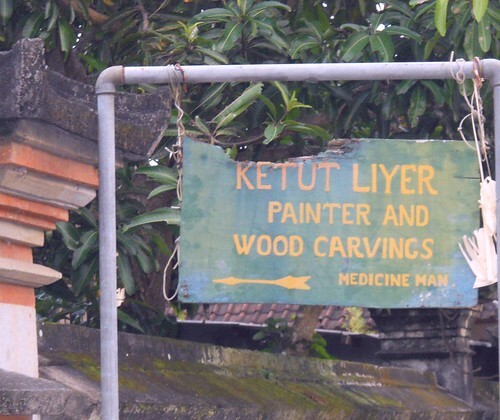 Ketut Liyer is a key player in Elizabeth Gilberts' book Eat, Pray, Love. He is a traditional healer and has the ability to read palms. Again, I didn't have a reading done but did follow with the group and got to soak in the beautiful Liyer family compound. One of the things I really liked about this tour was we got to go outside of the normal 'tourist box'. 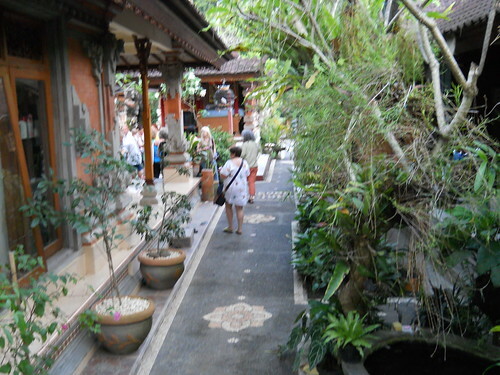 Our tour bus couldn't fit down the narrow roads of Ketut's village so we disembarked on the main road and walked through the neighborhood to his house. Here are some neighborhood boys playing volleyball in the street. Who said you needed to have a net to play volley ball? 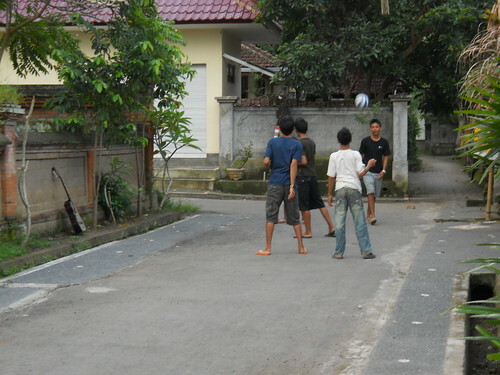 At the other end of the street, another group of boys was playing soccer. I seriously considered asking one of the groups if I could play with them...I wonder what they would have thought? I should have done it. 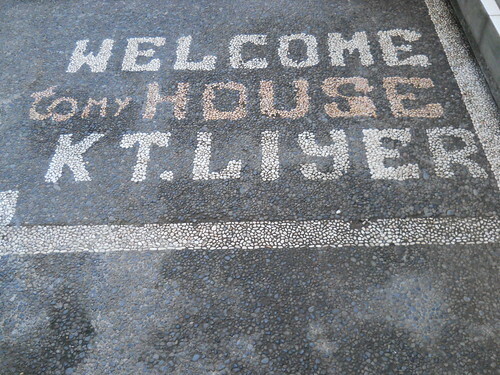 The 'Welcome mat" into the Liyer compound. 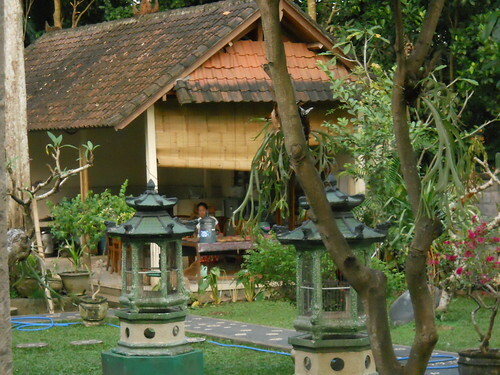 The Balinese live in extended family compounds. They generally have several generations living together. 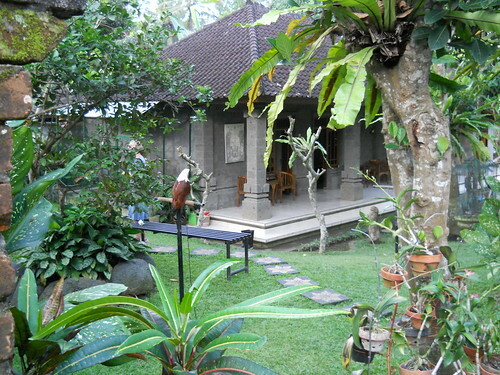 Our Balinese guide told us that the Liyer compound could be considered upper middle class. There are multiple buildings within the compound, I assume they accomodate different families. Many of the common areas were open on at least two if not three sides. 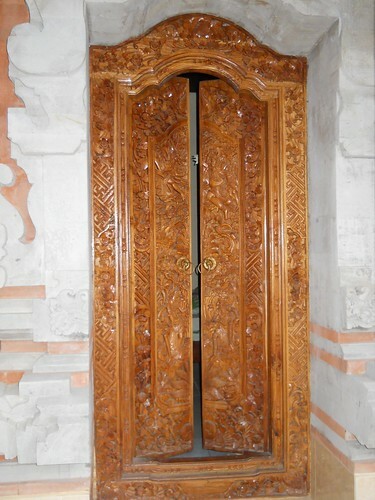 This was a very ornate door on one of the living quarters within the compound. 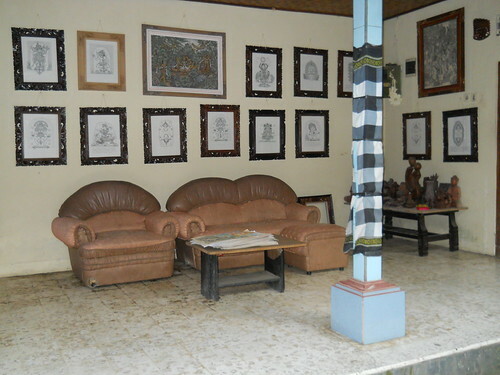 This is a sitting area and I assume the drawings had been done by Mr. Liyer. 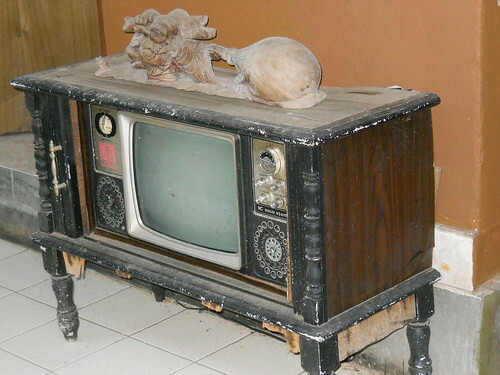 An old TV set sitting in the 'hallway'. Within each family compound is the family temple where they family goes to make their offerings in the morning. Below, I am standing at the entrance to their family temple. 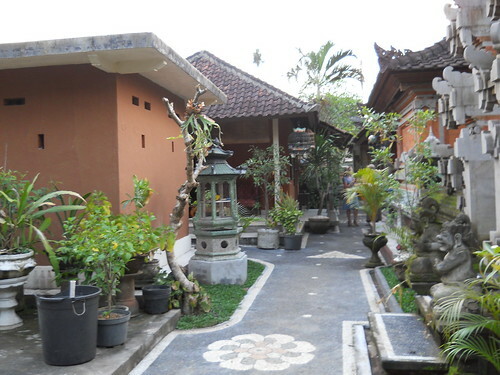 Below, deeper into the compound are additional living quaters and a kitchen building. Also in this area, Mr. Liyer housed quite a few exotic birds. He had peacocks, a hawk which you can see in the photos, an owl that may have had only one wing and a couple other things that I can't remember. This building appears to be the family kitchen. I didn't want to venture too deeply into their compound as I felt like I was just walking around inside someone's house. 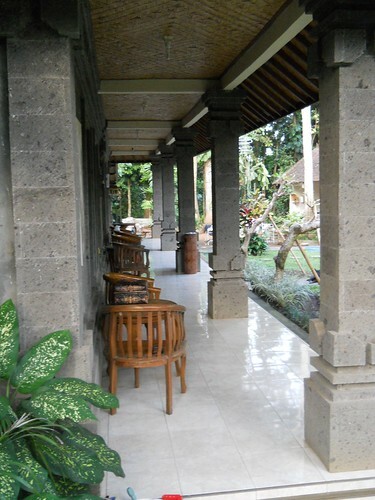 The front porch of one of the living quaters.